I know lots of people will disagree with me on this topic. I got your point, I was on your same position before. But let me finish my blog and then you put your comments afterwards. Asset have different meaning base on who are you going to ask. For some, they may say that your house is an asset while for some, they will tell you it is a liability. In the end, it’s up to you to decide which one to believe. I am a follower of Robert Kiyosaki, which started after reading his best selling book “Rich Dad Poor Dad”. On his book, he made a short definition of asset and liability. Asset, according to him is anything that puts money in your pocket. On the other hand, liability is something that takes money out of your pocket. House is an asset if somebody is renting it or you use it for monetary purpose in which you are getting something in return. However, if you will use your house personally, then it will become a liability. Who will pay for the damages incur inside? How about the electricity bills and maintenance? That’s right, everything you have to pay out from your pocket. Are you going to collect fee from your family members? Of course not. And that makes it a liability base on Rich Dad Poor Dad’s logic. 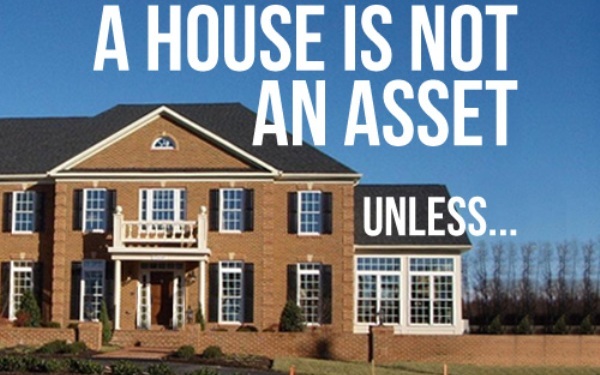 Your current house can only be an asset if you will sell it and gain from it. Which, most unlikely won’t happen to majority of us. We consider it an investment and have sentimental value on it. We intend to keep it and pass to the next generations as long as they can use and keep it. For most Filinos, especially those working abroad, we prioritize on house thinking it would be a good investment. We spend thousands up to millions in building one or renovating existing one. When it comes to the end of contract and we go back to the Philippines, we only have the house which turns to be a liability instead of an asset. It is only thru acquiring assets that we can stop being OFW and go back to our loved ones in the Philippines. It is also the key to retire from our current job and live the life that we want. Acquiring liabilities is never a good investment. Start it right, invest in assets only. Do not be fooled by false assets that later become a big liability for you. Stay educated and know the difference.